Congress is now considering the Extreme Risk Protection Order Act of 2019 (H.R.1236/S.506). This legislation creates a program that encourages states to craft Extreme Risk laws that meet minimum standards in order to be eligible for grant funding. Extreme Risk Protection Order (ERPO) laws give family members, law enforcement, and sometimes other individuals like health professionals or school administrators, a pathway for petitioning courts to temporarily deny access to guns to people at risk of harm to themselves or others. They have a strong record of effectiveness, and are especially promising for reducing suicide rates, which are tragically high in the United States with more than 120 people taking their own lives every day, half with guns. With 14 states plus the District of Columbia having enacted Extreme Risk laws — 12 over the last six years alone! — and dozens of other states in the process of doing so, there’s real momentum behind them, and every family and community needs to have access to it! Sign the petition and tell Congress to pass federal legislation that would incentivize all states to enact live-saving Extreme Risk laws. 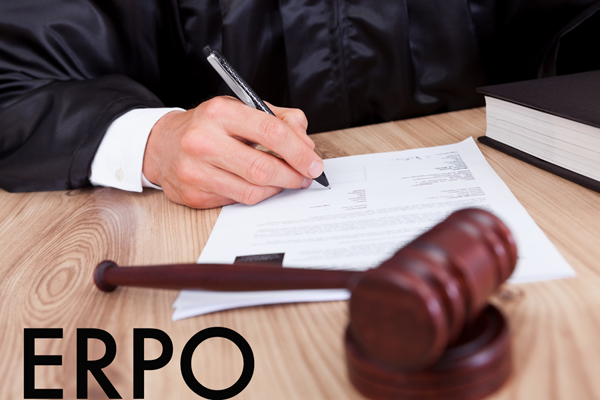 We urge you to pass the Extreme Risk Protection Order Act of 2019 (H.R.1236/S.506), which creates a program that incentivizes states to craft Extreme Risk Protection Order (ERPO) laws that meet minimum standards in order to be eligible for grant funding. ERPO laws give family members, law enforcement, and sometimes other individuals like health professionals or school administrators, a pathway for petitioning courts to temporarily deny access to guns to people at risk of harm to themselves or others. ERPO laws prevent school shootings and suicides, and every state should have access to them!